What is an XML Sitemap + How to Create an XML Sitemap ? What is an XML Sitemap and How to Create an XML Sitemap for Your Site? When it comes to the faster indexing of a site in search engines, XML Sitemaps play a crucial role. I have already discussed that Indexing a site in search is the first and foremost step towards Search Engine Optimization. One common tip that many blogging and SEO experts provide is to create an XML Sitemap of your site. And submit it to various search engines using webmasters tools. But many new bloggers and webmasters don’t know what an XML Sitemap is. So this post is to help them know the basics and learn to create an XML Sitemap. Some years back, when we used to visit any government website, we could often see a link to their home page. The link could be either in the footer or top menu, titled as – “Sitemap.” This link usually contained a list of URLs in HTML formats. In HTML forms, Sitemaps were created manually. But things changed, and there has been a shift from HTML formats to XML. Later, we could find such similar link and same text in blogs or sites. That’s how this trend of XML Sitemap started. Google first introduced sitemaps in June 2005. And other major search engines including Yahoo and MSN announced joint support for sitemap protocol in November 2006. You can read more about history and evolution of Sitemaps from the Wiki article. Why is it Important to Create XML Sitemap of a Site? How to Create XML Sitemap of Your Site? What Next After Creating XMLSitemap? An XML Sitemap is a list of all the URLs of the site in XML format. XML sitemaps are a way to tell search engines that which URLs are publically accessible on your site. This helps search engines in deciding which URLs to crawl and index as well as which not to crawl. Sitemaps are also known as URL including protocol. Because they tell search engines to include the URLs of a site. It is very important to create an XML Sitemap of your site. Whether your site is new or old, XML Sitemaps play a significant role in SEO. For new sites, XML Sitemaps are a lifeline. When you launch a new site, you hardly find its any visibility in search engines. Even your new posts don’t have that many backlinks so that it could tell search bots to crawl your site. Thus an XML Sitemap having the list of all newly published URLs, help search bots to crawl your site efficiently. And a fast and efficient crawling ensures your every URL is indexed properly. Thus, increasing the visibility in search engines. Though an XML Sitemap is not beneficial in improving your ranking, it is useful in increasing visibility. Having an XML Sitemap is of even more importance for popular sites as compared to new one. As popular sites contain a large number of URLs, so an XML Sitemap makes sure that those URLs are indexed properly. Especially if you keep updating your site regularly, you would definitely like to let search engines first know about updates. So an XML Sitemap not only lets search engines know first about updates but also decrease indexing time. Thus, increasing your overall visibility and appearance in search results. There are several ways you can create an XML Sitemap of your site. So here is a quick guide. Blogger blogs whether self-hosted or BlogSpot can easily create an XML Sitemap using an online tool – XML Sitemap generator. All you have to do is – enter your blog URL and few other basic details. Even this free tool works for blogs running on other platforms. But make sure you have less than 500 pages. WordPress being “Power Hub of Plugins” offers many plugins to create an XML Sitemap of your blog. Some popular plugins to create XML Sitemap are Google XML Sitemap and SEO by Yoast. 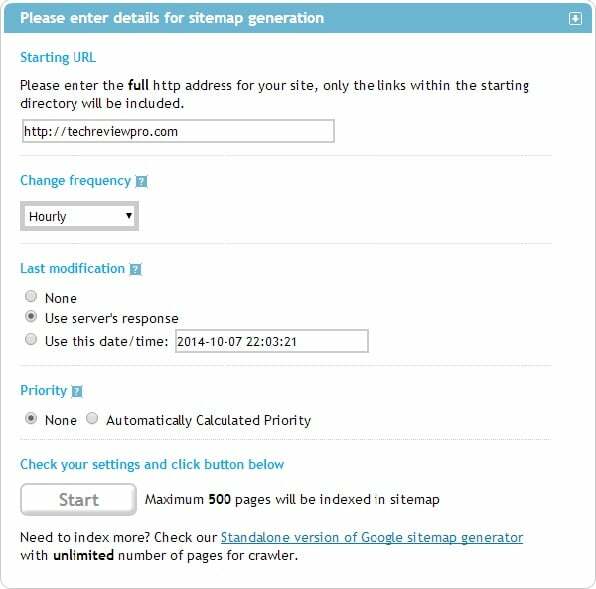 Read the step by step instructions to Create WordPress Sitemap easily within 1 minute. As you have created an XML Sitemap of your site, you can submit it to many search engines to ensure the proper indexing of your site. Go to webmaster tools of each search engine and submit it. An XML Sitemap is very helpful in getting your posts indexed in search engines. So create one and submit it. But make sure you provide a link to Sitemap somewhere in home page. This makes crawling faster. However, I would recommend to create separate sitemaps for various resources in your site. For example, one for blog posts, one for images, one for videos etc. This is much helpful. Do let me know if these methods worked to create XML Sitemap of your site in comment section. By the way, do you have separate sitemaps for each type of contents ? How to Create a Free WordPress Blog? Or How to Create a Free Blogger Blog? How to Install a WordPress Plugin? Or How to Install a WordPress Theme? thanks for the information and the valuable tools that you have shared. but can you please tell me how to generate sitemap of sites having more then 500 pages??? that step will be highly recommendable. Hey Rishabh ! Glad to see that you are back here. First of all,I would like to say that you are just copying content from here to your indigiz blog. Do you know, its against copyright. I can file a DMCA compain against you and you would be in serious problem. So far, I have left you just thinking that you don’t know about copyright laws. So make sure you remove them from your blog otherwise, I’ll soon raise a complain against you. By the way coming back to your queries, I’ll share a post about creating sitemap for blogspot blogs having more than 500 pages soon but you’ll have to wait few days. So stay tuned and make sure you never miss any post by subscribing to our e-mail newsletter. Hope you would abide by DMCA licencing and copyright laws ! Welcome Kimsea ! Really nice to know that you understand the importance of creating and submitting xml sitemap. I agree with your views. Nice resource on a few XML sitemap best practices that often get overlooked, and how to keep Google in the know about new/updated content on your website.